Every athlete knows the primary energy food for exercise is glucose and how critical it is to fuel their muscles before and after exercise. However, not all of them understand the relevance of liver glycogen store during exercise. Many athletes thus suffer from poor performance and compromise health as a result of over production of adrenal hormones from poor fuelling of the liver. Find out more how honey as an excellent fuel for the liver, can play a vital role here, as well as how you can get a free e-book packed with delicious, energy-giving smoothie recipes. 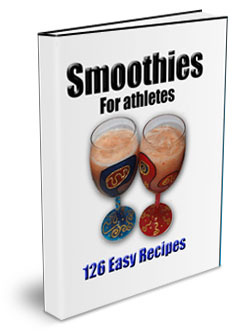 All in: Energy Food and Exercise- Truths Athletes Must Know.